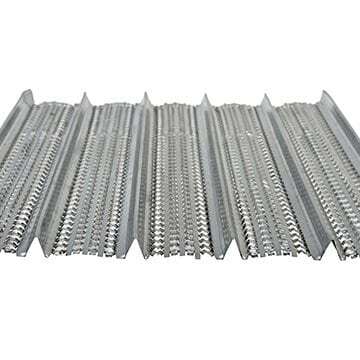 Product description: Hy-Rib® Sacrificial Expanded Metal Formwork allows concrete slurry to flow through the keyjoint, ensuring aggregate interlock. Hy-Rib® is primarily used in construction joint applications but is also usable in wall, beam, column and soffit slab constructions, where the formed surface will not be seen. Edge design allows for tight nesting of adjacent sheets.